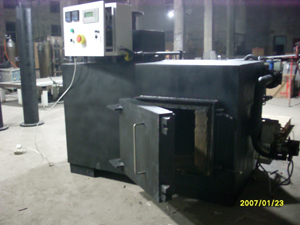 Clover supply medical waste incinerators, pet and animal cremators, other solid waste incinerators to over 30 countries. We have re-designed the incinerators lining configuration. We have also designed and installed our very own PLC computer system into incinerator operation system. Clover know it is important that build them better, keep it simple and offer a great service. We make quality products that give excellent payback on investment, our incinerators are the most robust and thermally efficient in the industry.